STATESBORO, Ga. -- It’s a bond formed on the gridiron in Bulloch County years ago and continues on the NFL stage. Pro Bowl linebacker Justin Houston of the Kansas City Chiefs and Baltimore Ravens defensive lineman DeAngelo Tyson returning to their roots to give back this week. Tyson and Houston in Statesboro to help raise money for the Tyson Foundation. On Thursday, DeAngelo Tyson hosting a dinner and auction for his charity. On Friday, things moved out to the links, with the first ever Tyson Foundation Golf Tournament at Forest Heights Country Club. Proceeds from both events going to support the foundations mission of serving youth, young athletes and teenage mothers through support and opportunities that will empower them to unlock their own personal potential. Tyson and Houston not only played football together at Statesboro High School. The former Blue Devil standouts would then go on to star for the Georgia Bulldogs. Tyson and Houston were joined by fellow NFL star Haloti Ngata. Ngata currently plays defensive tackle for the Detroit Lions. 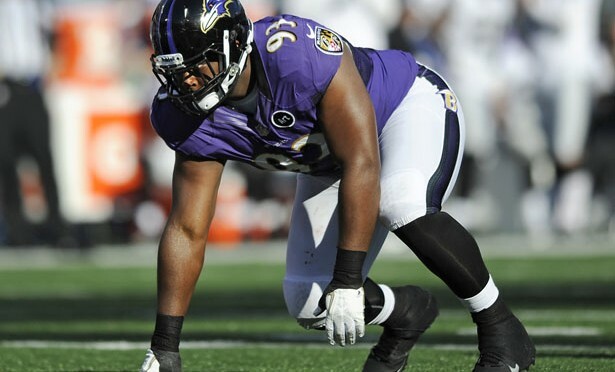 He was a first round draft pick of the Ravens in 2006. He’s been selected to the Pro Bowl five times.